Description: A very recent conversation with the beloved author, poet, dramatist and visionary, Ray Bradbury. In these excerpts, Mat asks Ray to look back forty years to the Apollo 11 landing on the moon. Ray expressed his exhilaration and hopes to Walter Cronkite and walked out on talk show host David Frost! The Los Angeles-based writer shares other memories and looks to our future on Mars and beyond. Bio: Mat Kaplan hosts and produces Planetary Radio, the weekly public radio and podcast series from the Planetary Society. Planetary Radio is heard on 150 stations across North American and beyond, as well as on Sirius XM satellite radio. The podcast can be found in the iTunes Store. Founded by Lou Friedman, Bruce Murray and Carl Sagan, the Planetary Society inspires and involves the world’s public in space exploration through advocacy, projects, and education. 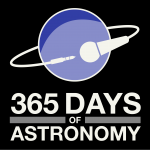 Today’s sponsor: This episode of The 365 Days of Astronomy Podcast is sponsored by Clockwork Active Media Systems. Clockwork invents, designs, develops and maintains web applications that market, sell, streamline, automate and communicate. Visit Clockwork.net net or email inquiries@clockwork.net to get started on your web project. OPENING REMARKS: Hello, pod people. 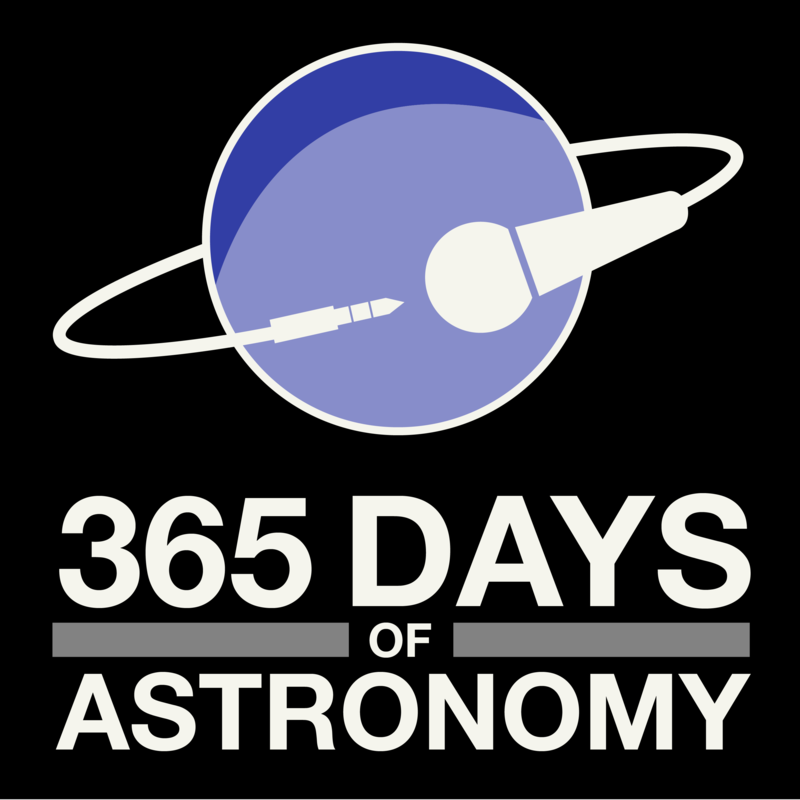 I’m Mat Kaplan of the Planetary Society, where I host and produce our weekly series about space exploration called Planetary Radio. We’re very proud to join you on this, the eve of the 40th anniversary of the Apollo 11 landing. And we’ve brought along someone many of you know and love. I visited Ray Bradbury at his West Los Angeles home just a few days ago. Ray will soon turn 89. I was cautioned that his hearing is not what it was, so I should speak up. Also that he was likely to tire long before he was ready to stop telling stories. That’s just what happened. We talked about many things, but we kept coming back to the shining significance of July 20, 1969. Here are a few excerpts from our conversation. You’re hearing them ahead of our regular radio and podcast audience. MAT: I wonder if you feel as fortunate as I do in the whole history of humanity to have been alive not just to have left our planet, but to have set foot on other worlds? MAT: Now, wait. I’ve gotta stop you because you said “Snow.” It’s “Frost,” right? David Frost. MAT: That’s quite alright. I just didn’t want to confuse the audience! RAY: Frost, yeah. I don’t know why I used Snow. When I left that broadcast at the BBC in London I walked across London laughing and crying all the way. It took me six hours to walk back to my hotel. It took me six hours to walk back to my hotel. I didn’t take a taxicab! I wanted to be in London alone with myself and my joy. When I got back to the hotel, out in front there was a tabloid with the headline that said, “Neil Armstrong Walks on the Moon, Bradbury Walks at Midnight!” They reported I walked off the David Frost show. I hated him so much. But it’s good to have that headline! Me and Neil Armstrong in a single newspaper the morning after we landed on the moon. MAT: It didn’t start then, of course. I think of your old friend, Arthur C. Clarke. It was in his story that he had a proto-human looking up at the moon and reaching for it, and thinking, well, if I could just get to a high enough spot I could reach it. RAY: Well, we’re all similar people. We have the same dream, and landing the moon really did it for us. MAT: You were talking though, before we started to record about, yes, I guess it’s okay to be excited about the moon, but your heart is still farther out on that red planet. RAY: Well, see, we’ve been building flimsy things in space. Space stations, but they’re not strong enough. But it’s gotta be the moon. And sometime in the next few years we’ve gotta re-establish ourselves on the moon. MAT: So you do see a role for the moon? You’re happy to see that we’re on the path to returning humans there? RAY: We should never have left. We’ve circled the Earth with our rockets and photographed it. That’s good information, but it doesn’t help us get to Mars. The moon has gotta be a solid underground for us to build factories to go to Mars, and it’s going to take thirty or forty years to establish a base on the moon. And then we’ll go to Mars and we’ll establish a civilization which will last for thousands of years. And then we’ll move from Mars to Alpha Centauri or a planet near there. MAT: You don’t sound like you’ve lost any confidence in the human potential in the universe. RAY: We didn’t think we could do it, and we did it! It was quite amazing. And I went down and met with all the astronauts in 1967. I went to Houston. Life magazine sent me down to interview all the astronauts that were coming up. None of them had any names yet. But Life magazine had a meeting where there were seventy astronauts. And the editor of Life said, “Young men, I think you’d like to know that in the back of the room today is Ray Bradbury.” Everybody jumped to their feet and seventy astronauts ran back and clustered around me because they’d all read The Martian Chronicles. Isn’t that wonderful? I’m part of the lunar exploration. It’s so wonderful to be loved by these young men who treated me as a equal. MAT: I think you’re part of much more than the lunar exploration. I think of the scientists and engineers who were also inspired to do what they’ve done, who are STILL inspired, who are still leading the missions that are taking us off of this pale blue dot. RAY: Well, that’s wonderful. The night the Viking lander landed on Mars I was out at JPL. I was watching the photographs come in on the TV. I noticed a man behind me and I turned. It was Werner von Braun. I didn’t want to speak to him. I had mixed feelings. But I realized he was a mixed creature. He was half black, half white. He was half good, he was half evil. He invented the V2 rocket that destroyed England, and then he invented the rocket that took us to the moon. So I shook his hand, and he wrote an autograph on a piece of paper for me: “You saw it all ahead of us…to the moon. You inspired us.” And so Werner von Braun gave me credit for inspiring him to be a rocket engineer. Isn’t that beautiful? RAY: No, I want everybody listening to me to think of Mars, only Mars, again and again and again. And think of going back to the moon and make sure the government hears this from you. These are bad times today. If you read the Wall Street Journal, forget it! You know? If you buy stocks, sell ‘em! Get rid of ‘em! But listen to me and say, “Back to the Moon!” The moon is everything and Mars is beyond, waiting for us. I want to be buried on Mars. I don’t want to be the first live person to arrive there. It’ll be too late. But I want to be the first dead person that gets there. I want to arrive in a Campbell’s soup can. Bury me on Mars in thing called the Bradbury Abyss. They gotta name a place on Mars for me, and I will welcome that. MAT: I would love to see that happen. From your mouth to NASA’s ears! Thank you, Ray, and thank you for all of those stories. CLOSE: Author, poet, dramatist, visionary and blessed optimist, Ray Bradbury. We’ll include more of our recent conversation in the coming week’s episode of Planetary Radio, the public radio and podcast series from the Planetary Society. And we’ll put nearly my entire half-hour conversation with Ray on the Society’s website, planetary.org. Thanks very much for joining us. Ad astra! Mat Kaplan hosts and produces Planetary Radio, the weekly public radio and podcast series from the Planetary Society. Planetary Radio is heard on 150 stations across North American and beyond, as well as on Sirius XM satellite radio. The podcast can be found in the iTunes Store. Founded by Lou Friedman, Bruce Murray and Carl Sagan, the Planetary Society inspires and involves the world’s public in space exploration through advocacy, projects, and education.